Two recent broadcast stories about El Salvador are worth watching or listening to. First is a news story from the English language version of the Al Jazeera network. 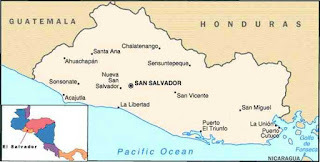 The segment looks at the impact of the global economic crisis on El Salvador by focusing on the town of Intipuca, where remittances are an important part of the local economy (as is true everywhere in the country). Second is a radio show on WAMU in Washington, D.C. 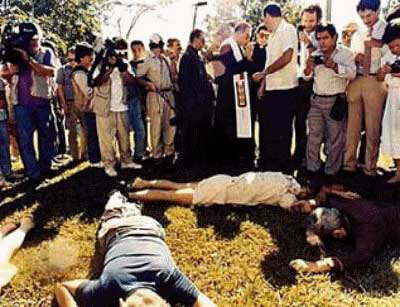 This interview show focused on the 1989 murder of the Jesuit priests and the new attempt to try responsible parties in the Spanish courts. The guests were Diane Orentlicher, Professor of International Law and Director of War Crimes Research Office, American University, and Douglas Farah, former Washington Post Correspondent in El Salvador from 1987-1990. Members of the US House of Representatives are circulating a "Dear Colleague" letter urging US Secretary of State Condoleeza Rice to encourage El Salvador's government to take steps which would make possible free and fair elections in 2009. The SHARE Foundation and other organizations are urging interested US citizens to contact their representatives and ask them to sign on to this letter. 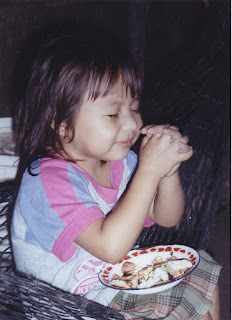 Tim's El Salvador Blog started four years ago today. Hopefully I've helped to make what's going on in El Salvador a little more accessible to English speakers. That's been my goal, and I would not have had the energy to keep up with the blog if it were not for the community of people who now participate in the comments or send me e-mail and let me know they appreciate the blog. So thanks to all of you (and feel free to let other people know about the blog as well). The Supreme Court of El Salvador has ruled that Oscar Antonio Safie Sacarias, one of the richest and most influential men in El Salvador, does not have to pay a $30 million judgment ordered by a Miami-Dade Circuit Court judge. The Salvadoran ruling also covers several of Safie's family members, and has been met by accusations of manipulation and favoritism. In the United States, warrants have been issued for the arrest of Safie and the family members. They are accused of being in contempt of the Miami-Dade court, and they could face perjury charges for saying they had no bank accounts in the United States, according to court documents obtained by El Nuevo Herald. Safie is a Salvadoran media and textile mogul. 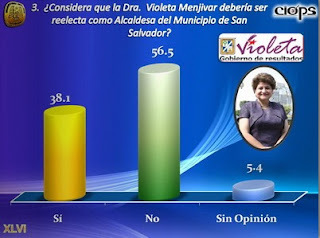 In 2006, Violeta Menjivar narrowly won election as mayor of San Salvador, by a margin of 61 votes over the ARENA candidate. She is running again as the FMLN's candidate to run the country's largest city, but a recent poll shows that her prospects of being re-elected may be up in the air. The poll was conducted by the Technological University of El Salvador (UTEC) and released on October 28. When asked if Menjivar should be re-elected, 56.5% said "no" and only 38.1% said "yes." When asked who is best prepared to govern El Salvador, Menjivar and ARENA's candidate Norman Quijano, virtually tied in the poll results. When asked which party they would support if the election of mayor took place today, 40.2 percent say they would vote for the FMLN candidate while only 33.3 percent would vote for the ARENA candidate. Following the victory of Barack Obama in the election for president of the United States, Mauricio Funes issued a statement congratulating the president-elect. "These winds of change have begun to blow from the United States to refresh the global atmosphere, in need of more democracy and greater social justice. The Americans have not been afraid to choose change, as they have staked out the future and not the immobility of the past," said Funes. Salvadoran youth members of the FMLN, gathered in Plaza Barrios, in front of the Metropolitan Cathedral, to celebrate Obama's victory. With Obama's triumph, it is worth revisiting the prescient post by our friend Carlos Colorado titled BARACK O’FUNES: Will the FMLN’s candidate be a Salvadoran Obama? which looks at the similarities between the candidates for change in the two countries. In advance of tomorrow's US presidential election, some opinion polls have asked people in El Salvador and the rest of Latin America who they would prefer be elected president, John McCain or Barrack Obama. El Salvador has a pretty good feeling that whoever gets elected next year is going to have an impact on their country. In fact, 43% think that either Obama or McCain taking office will make a difference in El Salvador. Which do they prefer? Gallup Polls has the answer. From May to September 2008 they conducted surveys in 70 countries to see who the world preferred to see elected into the Presidential office in the United States. Despite the fact that they prefer Obama over McCain, the difference between the two candidates [in El Salvador] is one of the narrowest in all South American countries. Only 24% prefer Obama, while 14% would vote for McCain if they could. The other 63%? Undecided. Today, November 2, Salvadorans commemorated the Día de los Difuntos, the Day of the Deceased. Families go to cemeteries throughout the country, decorate grave sites with flowers and other decorations and have a picnic. 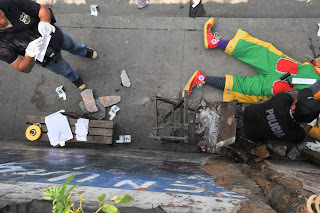 You can view a photogallery from La Prensa Grafica. Meanwhile, on Saturday, civil society groups and citizens held activities including a worship service and music to remember victims of the civil war at the Monument to Memory and Truth in Cuscatlan Park. During the past 18 months, Salvadorans have suffered from soarig prices for basic foodstuffs. In September, the Salvadoran authorities made it clear that not all of the price rise came from the forces of a "free market." The government has taken action against the two sellers of wheat flour in El Salvador who had conspired to divide up the market and not compete against each other.